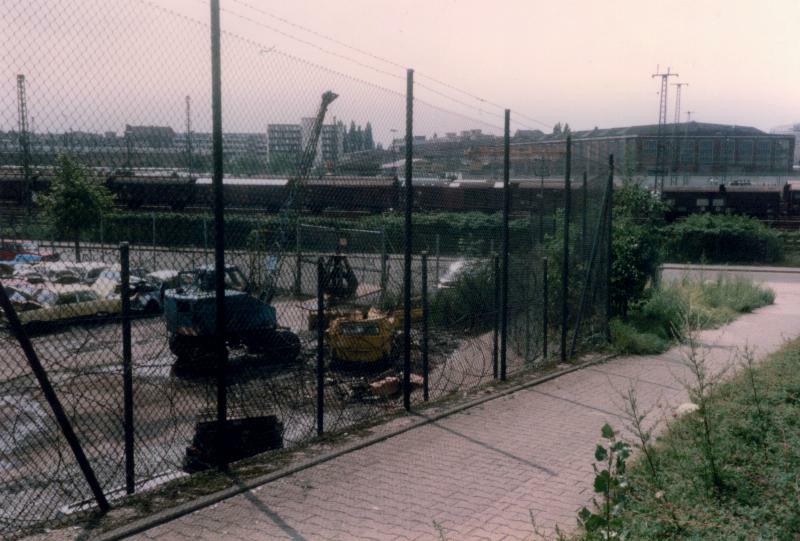 BBT nv // Blog » Chicken coop for sale….. and the end of a bay window bus in 1986…. 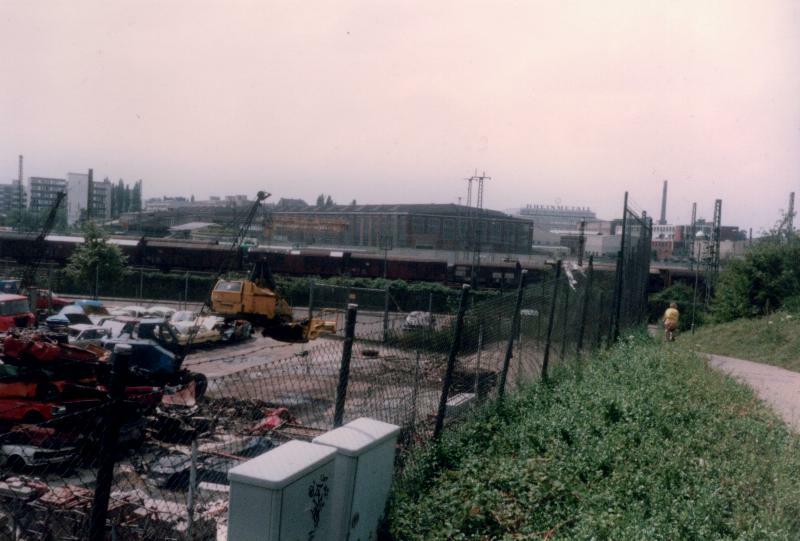 Chicken coop for sale….. and the end of a bay window bus in 1986…. Do You believe in life after life? Some buses do live longer. Surprisingly, the rusty remains of this Baywindow Postbus have reappeared. 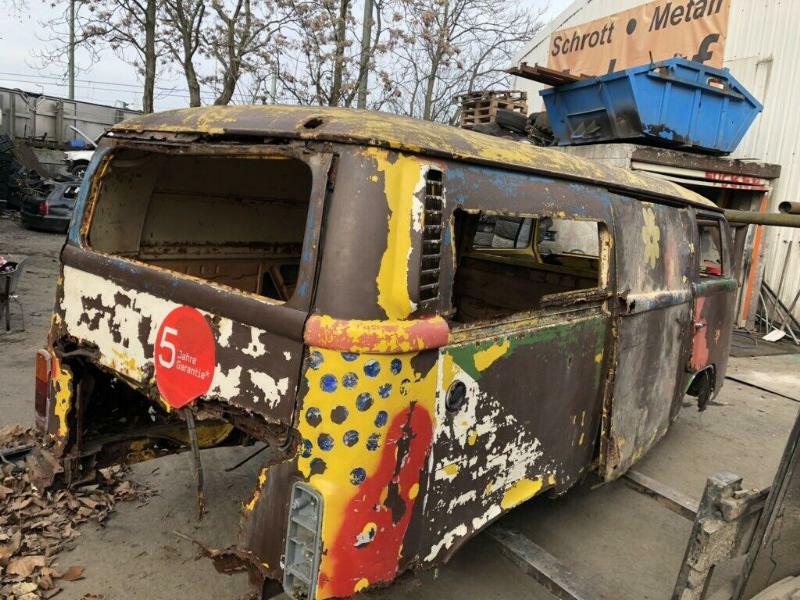 For only 450 Euro you get a stylish chicken coop and the rust is free, according to Bauhaus Autoverwerter. 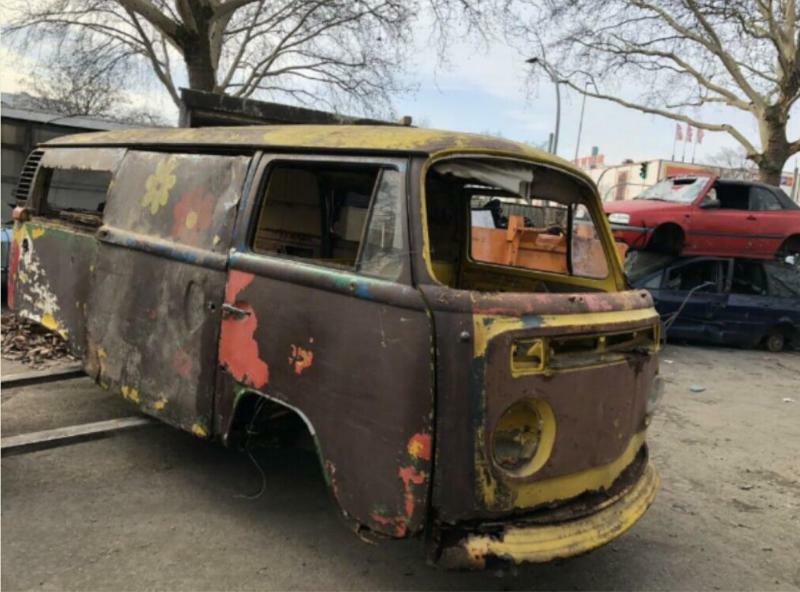 Autoverwerter Beier confessed guilty already when he sold the almost complete bus with additional spare parts for 500 euros a couple of years ago. If the buyer never pick up the bus it’s the seller that has to take action, right? A little Graffiti upset on the art car and they reinstalled the sliding door. 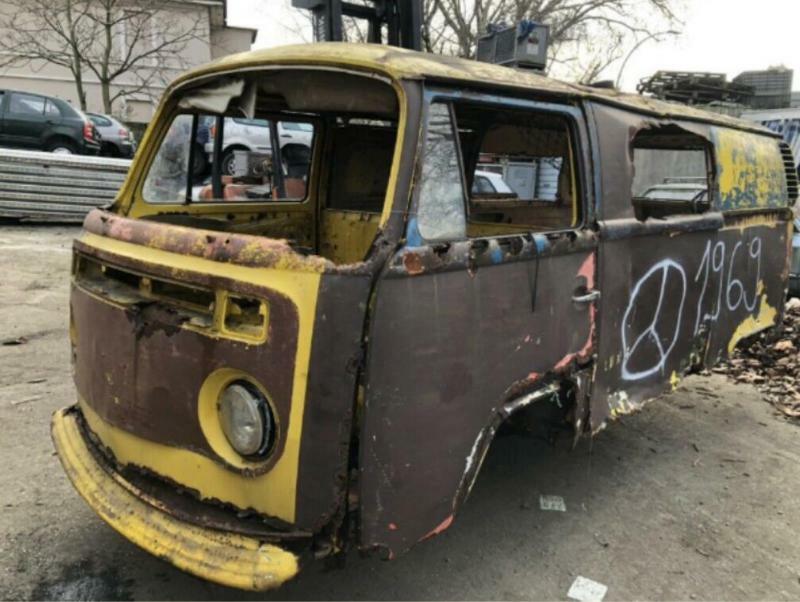 Why do you spray a Mercedes star on a VW bus? Let’s jump back into the year 1986. 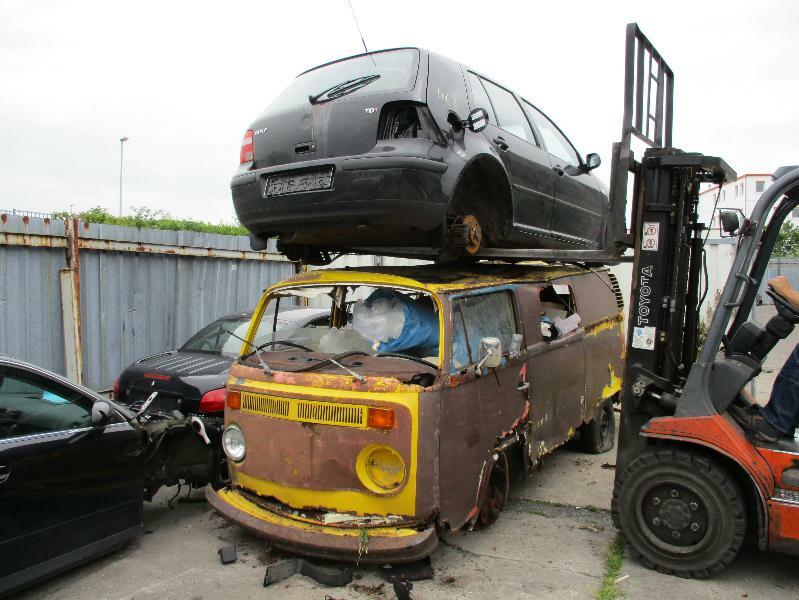 As back then Autoverwertung Nord sang and klanglos crushed a VW bus (ex postal services) in a similar good consistency simply pulped and grabbed by the crane. Interestingly, this car did not have a long standstill and drove literally to the sad end of the scrap yard in the traffic. Why he didn’t drive two years more? The sacrilege of punishment was promptly executed to the bus. The car is torn as a flat package when splashing into several pieces. The previously painstakingly granted scrap was distributed in the square. Punishment is needed! We all wish You a happy sunday!